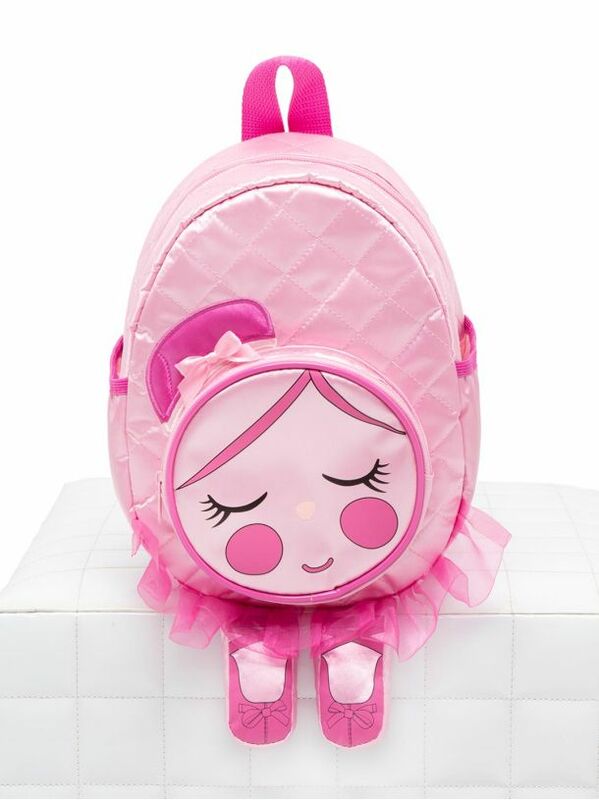 Whimsical child’s satin backpack with enchanting design. Quilted front with ballerina bun applique and matching ruffle tutu. Plush feet that dangle. Fully lined inside with name plate located on the inside of the backpack. Easy to adjust straps and side mesh pocket.